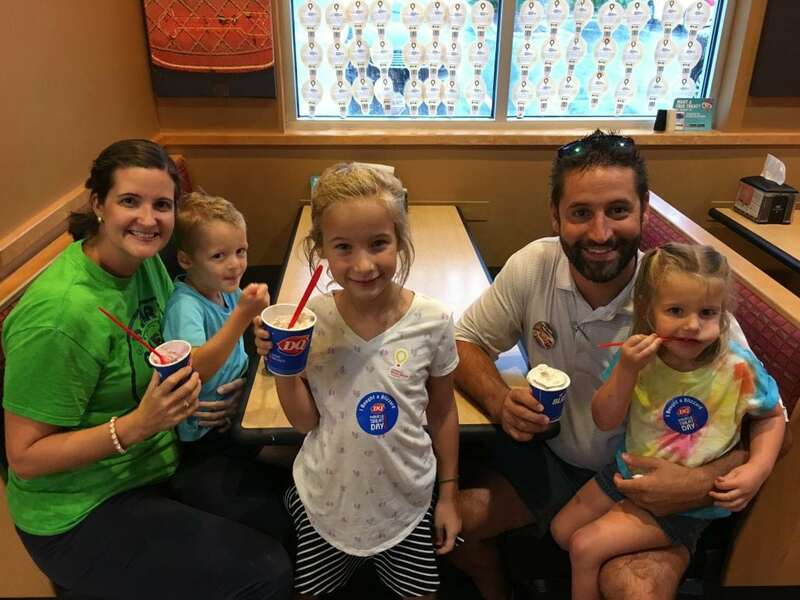 A Blizzard in August: Miracle Treat Day 2018 – Dairy Queen Corp.
Triangle Dairy Queen owner, Andy Valkanoff, poses with his wife, Christina, and their family. On Thursday, August 2, Dairy Queen locations across the market brought the “chill” in the early August heat by way of Miracle Treat Day 2018. 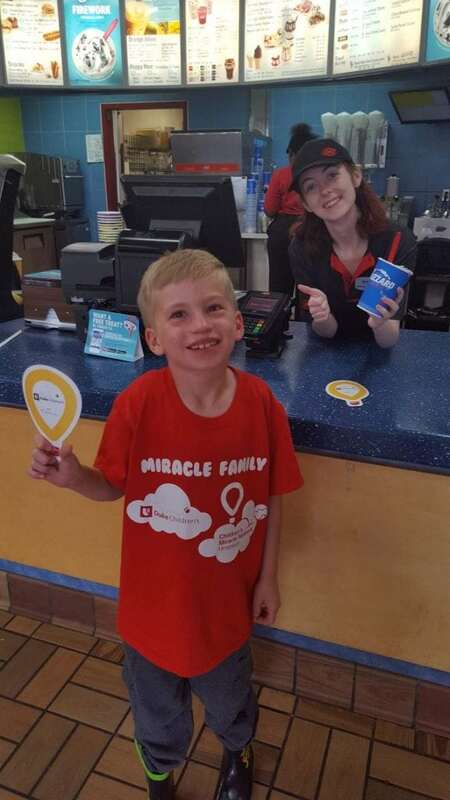 The annual event is a national fundraising effort in which participating Dairy Queen restaurants can give back to their local Children’s Miracle Network Hospital. Locations that signed up to take part in the day pledged to donate a portion or all of the proceeds from every Blizzard Treat sold to Duke Children’s hospital. Many of these Dairy Queen locations also sell Miracle Balloons for the month leading up to Miracle Treat Day to raise even more money for Duke Children’s. In 2017, local Dairy Queens raised over $47,000 for Duke Children’s! Thank you to our incredible Dairy Queen partners across the area – from the Triangle to the Triad to Wilmington and beyond – for hosting such a tasty day and giving back to help kids treated at Duke Children’s hospital. Dairy Queen has been partnered with Children’s Miracle Network Hospitals since 1984 raising more than $130 million for local hospitals.